I was going to be so strong. Honest, I was. I was going to resist, you see. 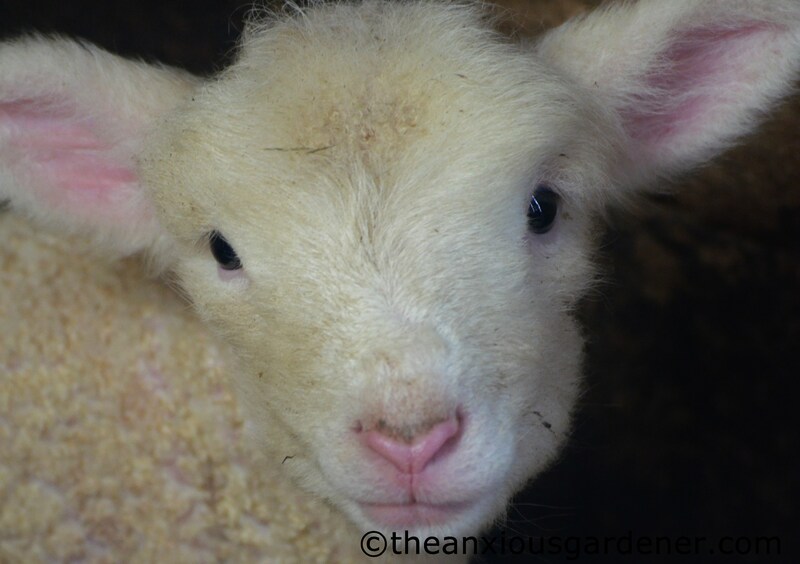 Resist posting yet more photos of cutesy calves and lovely lambs. After all I’ve posted lots of photos of both before. But when Margaret (the neighbouring farmer) told me that she was expecting (so to speak), it gnawed at my mind and made my shutter finger itch. And when I heard that the new arrivals were plopping out left, right and centre, I couldn’t stop myself from grabbing my camera and rushing up to the farm. Here’s what I saw. Resolve be damned. I’m a sucker for a calf adept at licking its own nostril. Really adept and with such gusto. There’s a whole clutch of young calves; about half of the thirty pregnant cows have given birth. … still births, no deaths, no difficult, protracted deliveries. Indeed she hasn’t even had to lend a hand – yet. The newest arrival was born to Buttercup (we’ll call her) less than twelve hours ago; a sturdy, if still groggy, bull calf. Despite Buttercup’s distrustful, watchful gaze, Margaret had to disinfect the calf’s umbilical scar. Buttercup had already mooed angrily when the farmyard cat had sauntered a little too close – so Margaret warily asked that I stay close-by in case protective mooing became angry barging. Though, I’m unclear how my screaming and impotent, panicky flapping would have helped. 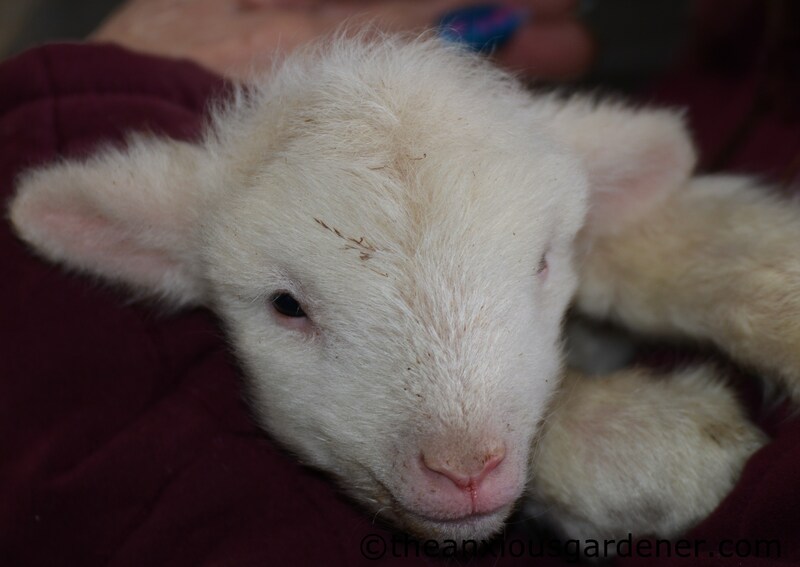 Next door, in pens smelling of warm, sweet hay, Margaret’s Christmas lambs are arriving (the main lambing season won’t start for another few weeks). Margaret had planned the first births for the day after Boxing Day. 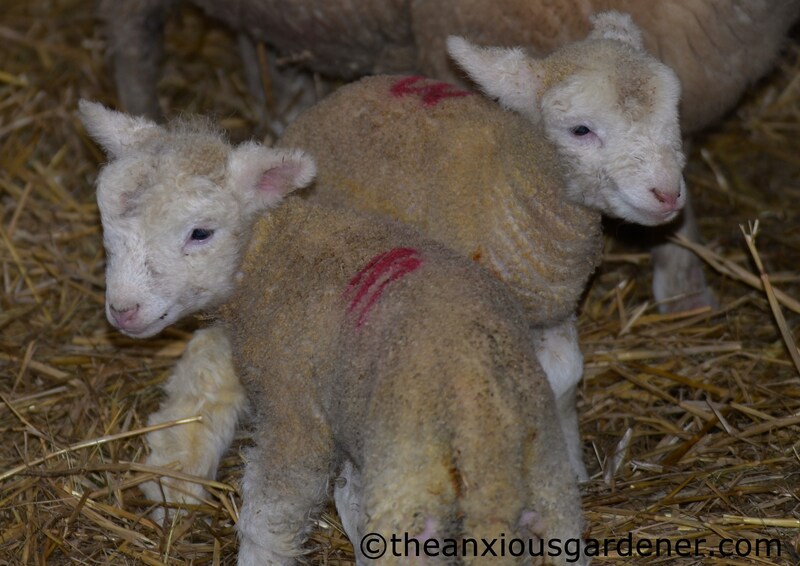 But the ewes hadn’t read the plan – they started on Christmas morning. This is the fourth or fifth year that I’ve visited the farm during lambing but it’s not a sight I ever tire of. This is the youngest – about five hours old. The little she-lamb is far smaller than its twin (all of Margaret’s ewes have had twins so far). The mother wasn’t keen on the cut of my jib. But was perfectly happy for Margaret to pick up the tiny one and pass her to a friend. (Hi Rita). So no – lambing (and calving) is not a sight I shall ever tire of. And it would seem Margaret won’t either. So I suspect I’ll be posting more photos of lambs and calves. Again. * I now intend to hang about the cow sheds regularly. OK, I am a little disturbed by the thought of you hanging out with the cows hoping to get licked, but hey, if that is the price for lovely photos of new calves and lambs, so be it. I used to love going to the local farmer’s market when I was a child, back when a farmer’s market was where farmers bought and sold animals. There were always young piglets, calves and lambs, but I envy you the opportunity to regularly get so close to the new arrivals. There go all my new year resolutions. I promised to stop whining that I wanted sheep in our field. I’ve changed my mind. I have to add immediately a mini lamb to my birthday gift list. I am going to save the curly calf for another occasion though. I really admire this Margaret, she must have a very deep heart as well as deep boots! As for your decision about hanging about the cow shed regularly, I think it’s a good idea, I bet your nostrils will be very clean from now on (it was about time!). Well they all look strong and healthy – such good shots – well done you. Imagine being able to lick your own nose – save a helluva lot of money on tissues eh what! 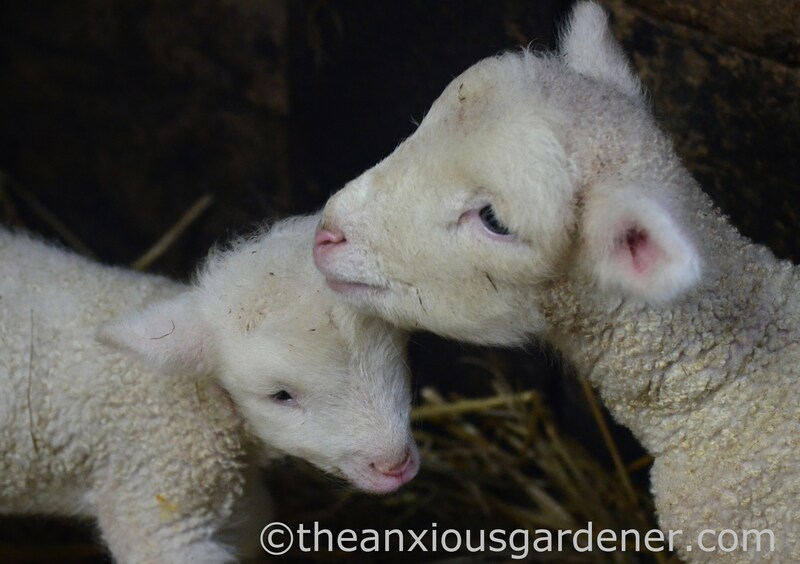 Well I won’t be complaining about more calf and lamb photos, they are so cute. Good to be able to get hold of such good quality meat. We get most of our meat from a farmers’ market. It’s all organic from a farm in the mountains, there’s lamb, pork, beef and mutton. Not only does it taste amazing but it’s actually cheaper than buying from the supermarket. ooooh and aaaah! Thank goodness your resolve failed you… thank you for sharing the newly born with us. Happy New Year by the way. Lovely pictures, so cute !! But calves and lambs in January ??? isn’t that very early ? Winter has yet to come ! My husband just told me that calves are born during all seasons and lambs usually late Winter and early Spring. He had aunts and uncles who had a farm and he loved going on holday there when he was a kid.I could not ever be a farmers wife as I wouldn’t be able to sell the animals !!!! Don’t resist on our behalf… What is it about baby animals when they look so fuzzy and uncertain that makes human insides go all melty? I’m glad Margaret’s having a better season this year — last year sounded really rough! Buttercup is clearly a cow of taste and discernment, mooing angrily at the cat like that. A good judge of character. I’m glad you didn’t resist and carried on posting these photos. They all look so sweet and adorable! I prefer plants because you don’t have to kill off the male ones (unless you want to). That said, I have a nice Aberdeen Angus steak in the fridge. Really beautiful pictures, no wonder you rushed over to record the moment! Our lambs are in the fields here in Devon, yours must be nice and cosy! Just too cute. I’m taken by the big pink noses of the calves and their curly foreheads. Lovely photos. Young animals are so sweet. I don’t suppose there is all that much happening in the garden at present, although more than in ours, I’m sure. Although you may not have honey bees flying about, unless you have a hive nearby. Seems early though I suppose we always associated lambs etc with Spring.